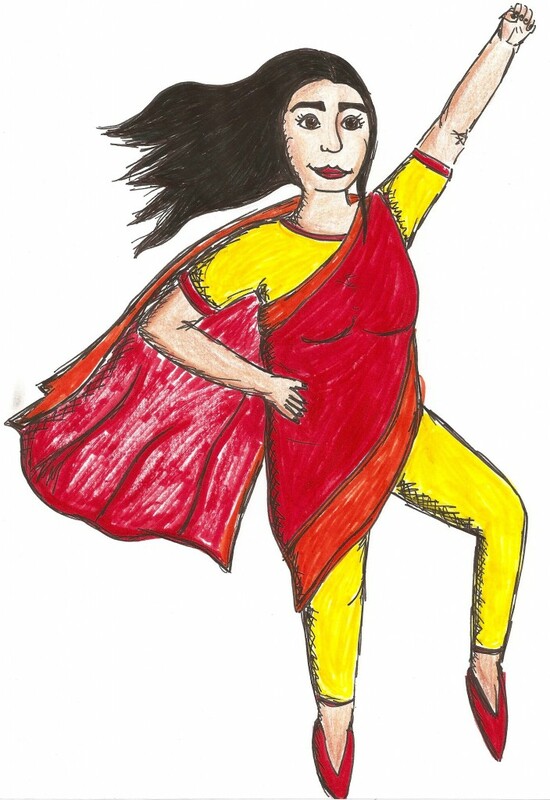 Glory Girl, an urban nun and historical figures – what makes a super woman? Sarasvàti Productions is excited to focus on stories of extraordinary women or ordinary women who have done amazing things at their eleventh cabaret of monologues to celebrate International Women’s Week. This year’s theme is SuperWomen and explores the diversity of women’s strength and resiliency! Last year’s public performance sold out and monologues also toured to International Women’s Week celebrations across the province. Once again this year, audiences will be treated to a line-up of powerful and hilarious pieces while celebrating women’s experiences. The line-up includes seasoned playwrights Dave Carley and Scott Douglas, both men who have written exciting pieces for women’s voices. As well the event welcomes emerging writers Frances Koncan, who last year won the FemFest Bake-Off, and Sandy Klowak. The nine monologues will be performed by an all local cast of actors, including Sarasvàti regular Jane Burpee and emerging actor Jenna Hill (Social Studies, PTE 2014). Sarasvàti Productions launched this popular event in 2003 as a special way to commemorate International Women’s Week. Over the years it has featured dozens of monologues from playwrights across Canada. Our goal is to provide a range of voices, issues and styles that relate to women’s experiences. As well, we have been fortunate enough to work with organizations from across Manitoba to assist in fundraising and awareness. This year we have the incredible opportunity to work with Genesis House, a women’s shelter in Winker, as part of a new playwriting initiative for high school students. Selected pieces will also be presented at the University of Manitoba, the University of Winnipeg, for Nova House (Selkirk), Provincial Council of Women and Portage Place Shopping Centre. The full performances of the cabaret of monologues will take place on March 7, 2015 at the Asper Centre for Theatre and Film (at the University of Winnipeg, 400 Colony Street) at 4pm & 8pm. Tickets are only $10. About International Women’s Day: In 1977, the United Nations General Assembly adopted a resolutions calling on member states to proclaim a day for women’s rights and international peace. Following the UN’s lead, Canada chose March 8 as International Women’s Day (IWD). Over time, International Women’s Day has grown into a week-long series of commemorative events and activities across the country, recognizing global progress toward general equality.